Six Sam Houston State University graduates who have brought pride to the university through their lives of good citizenship and their contributions to business, entertainment, education, and public service will be honored at the Distinguished Alumni Gala on Oct. 14 as part of homecoming activities. The honorees include Distinguished Alumni Walter J. Anderson, James D. Carey, James P. Ferris, James Gaertner, Frederick Pirkle, and J. Allen Shamblin. The gala will begin at 6 p.m. in the Lowman Student Center Ballroom with a cocktail reception followed at 7 p.m. with a dinner and program. Tickets are $75 each and reservations are requested by Oct. 10. For more information, contact the Office of Alumni Relations at 936.294.1841. Walt Anderson was born in Florida and grew up in Channelview, Texas. He was quarterback of his high school’s football team, under the direction of his father, who was the head coach of the Falcons. As a Bearkat football player at SHSU, Anderson was All-Conference in 1972, Academic All-America in 1972 and ’73, and a four-year letterman. After he graduated in 1974 with a degree in biology, he enrolled in the University of Texas Dental Branch where he received his Doctorate of Dentistry in 1978. He settled in Sugar Land and practiced dentistry for 25 years, owning one of the largest dental practices in the Houston area. He soon realized that football had been too much a part of his life to step away from it completely, and on the advice of his father, began looking into officiating as a way to stay connected to the game he loved. He started out working little league, junior high and then high school games. He later moved to the college conferences—Southwest, Southland and Lone Star—and has even officiated some Sam Houston State University games. 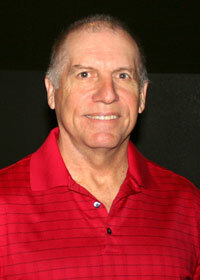 He has served as coordinator of football officials for the Big 12 Conference since 2006. While at the college level, Anderson was scouted by ex-NFL officials who were looking to fill openings at the professional football level. He joined the league in 1996, and since then he has worked playoff games in every year of eligibility. He has officiated two Super Bowls—Super Bowl XXXV in 2000, where he was a line judge, and Super Bowl XLV in 2011, where he served as the head of officials. Anderson and his wife, Afshan, live in Sugar Land and are the parents of five children. Jim Carey graduated from Missouri City High School in 1957 and Sam Houston State in 1961 with a Bachelor of Business Administration degree. He was employed by Ada Oil Company in Houston the day after graduation. As his career progressed, he was assigned to manage over 30 company-owned service stations from Corpus Christi to the Rio Grande Valley. After a short time, he was promoted to the Houston area. In 1965, he joined Ford Motor Company and spent the next nine years holding various dealer and distributor field contact positions in Dallas, Houston, Waco, and Cleveland, Ohio. In 1974, he was named the Memphis district parts and service manager. Five years later, Carey became the national Motorcraft sales, promotion, and advertising manager. He was soon recognized for his successful efforts with advancement to the positions of Detroit district parts and service manager, national Motorcraft sales manager, and eastern regional manager for the Ford Parts and Service Division. In 1988, he was named executive assistant to the vice president of Ford Division nationally, and three years later he became the national marketing manager for the Ford Parts and Service Division. From 1994 to 1997, he served as Ford Motor Company’s North American parts supply and logistics manager, in which he was responsible for the purchasing and warehousing of more than $1 billion in automotive parts and directed the activities of more than 5,000 Ford personnel. He retired from Ford Motor Company after 32 years of service in 1997. After his retirement from Ford, from 1997 until 1999, he was president of the Electronics and Logistics Division for Aftermarket Technology Corporation. Since 1999, Carey has served as a member of the board of directors and president of the board for the Recovery Resource Council in Fort Worth. The organization provides education for students in K-12 in the prevention of alcohol and drug abuse. Jim and his wife, Janean, live in Fort Worth and are the parents of a son, Kevin Carey, and a daughter, Colleen Monroe, and the grandparents of six grandchildren. Jim Ferris grew up in Austin and began his career at a young age as a clerk in the family drug store. At the age of 12, he was employed by a local restaurant where he started as a dishwasher and worked his way up as general manager, while still in high school. After graduating from high school, he attended Sam Houston State University and earned a bachelor’s degree in education in 1969. He was employed as a high school teacher in League City. To supplement his salary, he took a part-time job working for a local beer distributor, Wismer Distributing Company. He began by washing trucks, doing mechanic work and loading trucks. He moved up to driver salesman, then supervisor, and then general manager. The company enjoyed monumental growth under his management. Today, Ferris is still with Wismer. He is now a part owner of the company and serves as its president and chief executive officer. He has remained committed to his community, serving on three bank boards, volunteering as the lamb committee chairman and lifetime board member of the Houston Livestock Show, and was the Texas representative on the Anheuser Busch Panel from 1997 to 2000. He is a 30-year member and officer of the Baytown Rotary Club, established the Baytown Crime Stoppers, and founded the “Bud July Fourth Heat Wave” charity run. He is a member of national and local beer associations, Sigma Chi fraternity and has been active with the Baytown Chamber of Commerce for over 40 years. He has been recognized as “Citizen of the Year” by the Baytown Police Department. Ferris lives in Baytown with his wife, Tonya, and their two children, Danielle and James Paul. Jim Gaertner earned his Bachelor of Business Administration (1965) and Master of Business Administration (1970) degrees at Sam Houston State, and his doctorate (1977) at Texas A&M University. Before returning to his alma mater as president in 2001, Gaertner served in various capacities at the University of Texas at San Antonio, including dean of the College of Business and interim provost and vice president for academic affairs. His career includes seven years at the University of Notre Dame where, among other positions, he served as director of their London Master of Business Administration program. 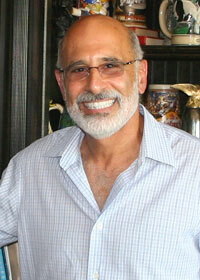 He is a member of the board of directors for Tandy Brands Accessories, Inc., and served as board chairman for 11 years. He has been a member of the board of trustees for U. S Global Investors since 2002 and is chair of the audit committee. 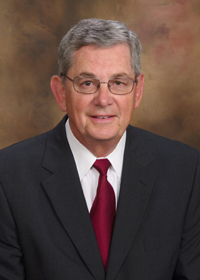 After his retirement from SHSU in 2010, he served briefly as the interim vice chancellor for academic affairs for the Texas State University System. Under his leadership at SHSU, enrollment grew by 33 percent and the number of students graduating increased by 52 percent. The university also achieved a Carnegie Doctoral Research classification, placing SHSU in the top 7 percent of all institutions in the United States, and three new doctoral programs and 14 new masters programs were initiated. Nearly $280 million in construction projects were completed, including such notable campus landmarks as a bell tower and outdoor plaza, a performing arts center, a parking garage, new residence halls, new academic buildings and additions, facilities for athletics, a visitors center, and dining facilities. Gaertner also directed the establishment of an SHSU campus in The Woodlands. He initiated the university’s first capital campaign in which more than $61 million in commitments were raised, passing the $50 million goal set at the beginning of the campaign. 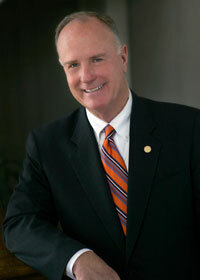 Other occurrences under his direction include: the establishment of the Official Ring Ceremony, the President’s Speaker’s Series, and the Alcohol and Drug Abuse Initiative for students; a reorganization of existing university structure and the implementation of new programs and projects; and the establishment of over 40 articulation agreements with community colleges in Texas, making SHSU a leader in such agreements in the state. Gaertner and his wife, Nancy, make their home in Huntsville. They are the parents of three children—Scott, Denise and Amanda. Fred Pirkle grew up in the Texas Hill Country near San Antonio. After graduating from Harlandale High School in 1964, he moved to Dallas where he worked for Van Winkle Motor Company as a mechanic’s helper while receiving training to become a General Motors Guardian Maintenance Service Craftsman. After working two years in Dallas, he returned to San Antonio and attended San Antonio Junior College. In the summer of 1967, Fred enrolled at Sam Houston State University, declaring a major in industrial arts. He worked during the summer months for H. B. Zachry Construction Company in San Antonio to fund his educational expenses. He earned a Bachelor of Science degree in 1970 and went on to earn his Master of Arts in industrial technology with a minor in marketing in 1974. Pirkle taught in the Cypress Fairbanks Independent School District for a while in Houston, and then left to work as a sales engineer for Commercial Industries Division and later Eggelhof, Inc. While employed by Eggelhof, Inc., he was assigned to Ogontz Controls in Philadelphia, Pa.
Pennsylvania became home as he met and married Linda Pirkle, who had two daughters of her own. Their family grew with the addition of two sons – Fred Pirkle Jr. and James Pirkle. Realizing the future in energy conservation, Pirkle left Ogontz Controls and founded Therm-Omega-Tech Inc. in 1982, to manufacture valves of his own patented design. The company grew to be a leader in the field of manufacturing temperature control values and devices, gaining worldwide respect across diverse industries. Therm-Omega-Tech freeze protection valves have become the railroad industry’s standard for preventing freeze damage to diesel locomotives, annually protecting billions of dollars of railroad equipment worldwide. Since then, he has patented more than 20 products, including the BBQ Guru, the first temperature control device for charcoal grills/cookers. Pirkle’s patented products are manufactured in the Therm-Omega-Tech facility in Warminster, Pa.
Pirkle resides in Warminster and continues to design and experiment with prototype products. 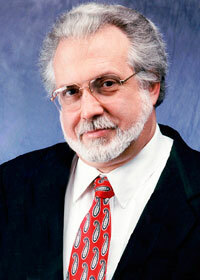 He remains an inspiration and source of information to colleagues in the manufacturing industry. 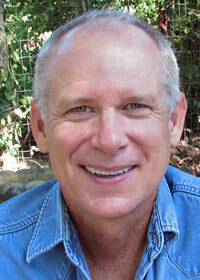 Allen Shamblin was born in Tennessee and grew up in Huffman, Texas. After attending Sam Houston State and graduating with a marketing degree in 1982, he moved to Austin where he worked as a real estate appraiser by day and honed his songwriting skills by night. With 14 completed songs, he moved to Nashville in 1987. His “story songs” quickly caught the attention of the Nashville music establishment. In 1989, Randy Travis’s version of Shamblin’s song, “He Walked On Water,” topped country music charts. It was the beginning of a string of award-winning and chart-topping songs for Allen which have included “Walk On Faith” (Mike Reid), “In This Life” (Collin Raye,) “Thinkin’ Problem” (David Ball), “Life’s A Dance” (John Michael Montgomery), “We Were In Love” (Toby Keith), “Don’t Laugh At Me” (Mark Wills), “Live, Laugh, Love” (Clay Walker), “Where The Blacktop Ends” (Keith Urban) and Dove Award winner “It’s In God’s Hands Now” (Anointed). “I Can’t Make You Love Me,” a song Shamblin co-wrote with Mike Reid, which was recorded by Bonnie Raitt, was nominated for a Grammy Award. His song “The House That Built Me,” recorded by Miranda Lambert, was named Song of the Year and Video of the Year at the 2011 Academy of Country Music Awards and the 2010 Country Music Association Awards. In addition to the accolades his songs have received, Shamblin will be inducted into the Nashville Songwriters Hall of Fame on Oct. 16. Shamblin has also co-authored two children’s books, “Don’t Laugh At Me” and “A Chance To Shine,” with Steve Seskin. “Don’t Laugh At Me” has been translated into several languages and is being used by teachers as an aid against bullying. Shamblin and his wife, Lori, live in Franklin, Tennessee, with their three children—Ashli, Caleb and Lindsey.